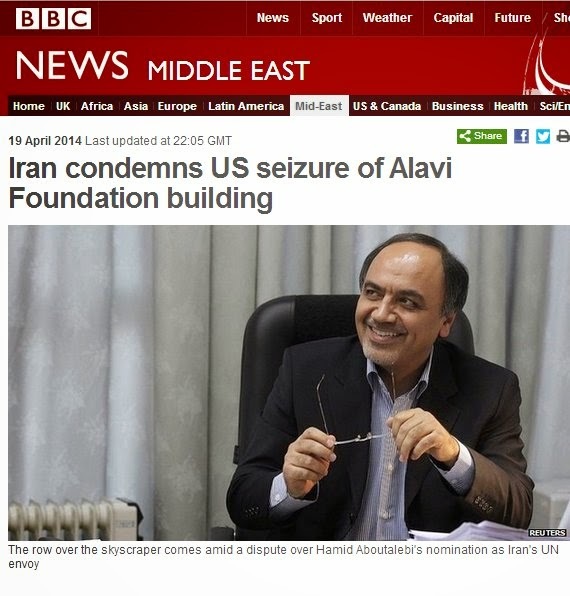 Iran's English-language propaganda machine is churning away furiously today in the wake of the US move, described here yesterday ["19-Apr-14: One small step for civilized society; one substantial leap in the fight against the terrorists"] to confiscate a series of Iranian-owned assets on US soil in order to satisfy legal judgments obtained by victims of Iranian terror. 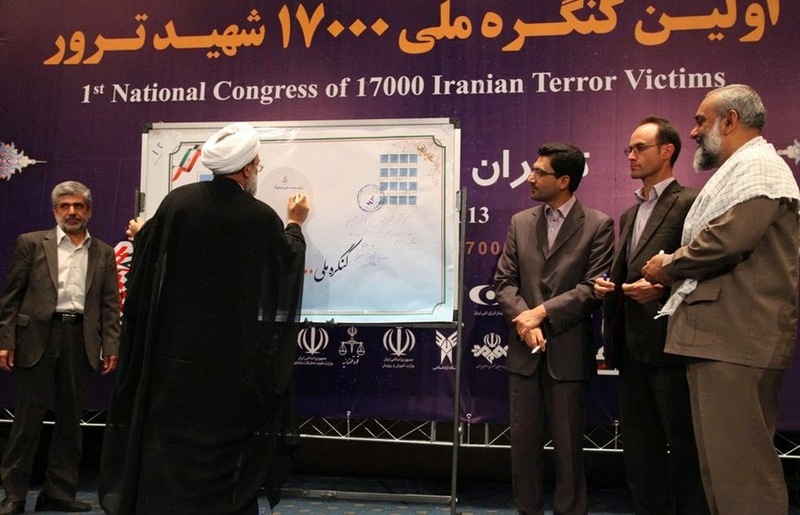 That welcome measure allows victims of several terrorist outrages for which responsibility was determined to be Iranian to recover damages against specific Iranian-regime assets in North America. A major highlight of the congress was the unveiling of a new postage stamp honoring the 17,000 victims. If something else came out of it that reflected opposition to terrorism in all its hideous forms, we're not sure what that was. The official report mentions the identities of some of illustrious participants: Iran’s Minister of Intelligence; the commander of Iran’s Basij Force (best known for its ongoing role in "the suppression of dissident gatherings"); a number of members of the Majlis; ambassadors to Iran from Sudan, Iraq, Afghanistan, Kuwait, Jordan, Hezbollah, Islamic Jihad and Palestine as well as the Ayatollah Khamenei’s representative at the Foundation of Martyrs and Veterans Affairs. (Iran's Minister of Foreign Affairs was a last-minute no-show, but he sent his special assistant.) For an NGO allegedly un-connected to the regime, it's an impressive line-up of official figures opposed to terror. Seeing Islamic Jihad and Hezbollah in that category is especially memorable. So too is the favorable attention paid by the organizers to a 'scientific' paper delivered by a German-Australian called Töben, notorious in several parts of the world for his energetic denials that the Nazi Holocaust of the Jews ever happened, and for the jail time he has served as a result.